The Carolina pen features rich and stylish design in five attractive colors and creates the perfect choice for Business Giveaways. 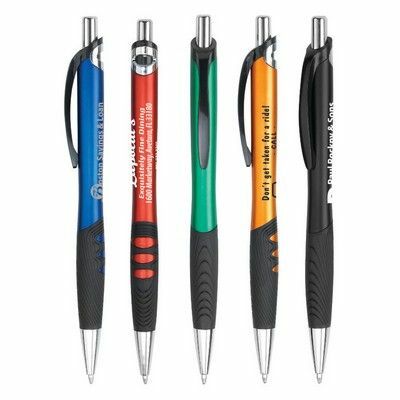 Boost your promotional efforts with this colorful pen as your next corporate giveaway and enjoy increased love and respect from your customers! The Carolina comes in attractive colors like red, blue, green, black and orange to catch a lot of attention wherever used. Your custom logo would definitely be visible when printed on this sleek and stylish pen. Chrome accents make this rich design pen more special while cut-out pattern on rubber grip impart it a unique look. Extra weight offers a smooth and comfortable writing experience to the user. The perfect way to impress your recipients at the upcoming company event! 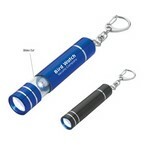 The Aluminum LED Light and Lantern with Key Clip is bright, sleek, colorful, and easy to carry. Always have light handy with your keys.